A new study says millennials who view videos on their phones resonate more with brands that take a short-form approach to spots, while older audiences tend to agree more with the traditional 30-second length. The study, conducted by IAB in partnership with Millward Brown Digital and Tremor Video, found brands running 10-second mobile video ads have greater appeal and persuasion potential with younger audiences. However, a slightly longer, 30-second spot did better with those between the ages of 35 and 54. Researchers used 10-second spots and 30-second spots for brands in the automotive, CPG and quick casual restaurant industries. Participants then viewed the ads on either a desktop, smartphone or tablet before answering a series of questions related to ad receptivity and brand effectiveness. "The conventional wisdom is that all video ads on mobile screens must be short in order to resonate with audiences," according to Joe Laszlo, IAB's vp of industry initiatives. "Our research shows that for some demographics and some advertising goals this doesn't hold up. These findings are critical in creating the next generation of multiscreen video advertising." While there were some generational differences, the report also found some commonalities. For example, longer ads were better for explaining complex information, while ads viewed on tablets were better for delivering new data. Based on the findings, IAB said marketers should develop video ads with smaller screens in mind, with shorter ads for smaller screens and longer ads for larger screens. Ads geared at millennials should be well targeted, relevant and enjoyable, according to IAB. The tolerance level for ads also varied by age and device. 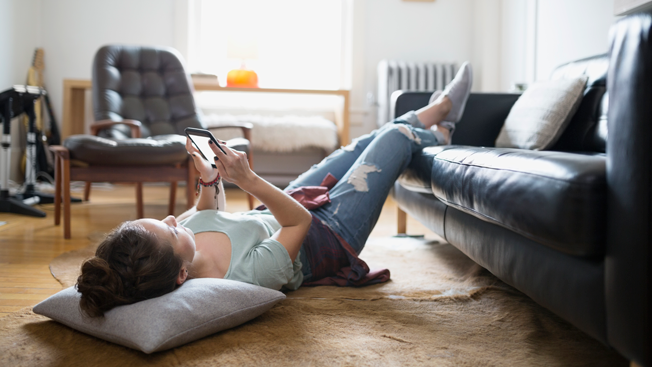 Nearly half of millennials said there were too many ads on their smartphones, while only 43 percent of those between 35 and 52 said the same. For tablets, 36 percent of the younger demographic felt they saw too many, compared with only 25 percent of the older crowd. Those viewing ads on a tablet were more likely to act on an ad—such as to speak about it with friends, interact with a social media page or visit a brand's website—than they were to do with the same ad on a smartphone. "Both smartphones and tablets are devices that invite a certain degree of intimacy with the user, so being mindful of best practices in mobile advertising is particularly crucial," Juan Lindstrom, director Millward Brown Digital's media practice. "This study offers important guidance for tailoring multiscreen video ads to best reach key audiences."